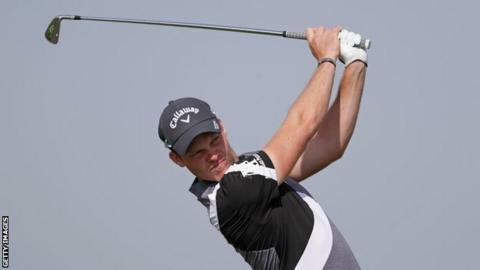 England's Danny Willett has withdrawn from the US Open before starting his second round due to an ongoing back injury. The 2016 Masters champion shot a nine-over-par opening round of 81 on Thursday, the joint second worst score of the day. The 29-year-old, who has a history of back injuries, was due to tee off at 19:58 BST at Erin Hills in Wisconsin. "Another disappointing week comes to an end," said Willett on social media. He added: "Working hard to get back but the body and swing not allowing it, sorry guys." Willett also pulled out of last month's Players Championship at Sawgrass midway through his second round and missed the World Cup in November to avoid aggravating his back problem. At Augusta in April, he became the first defending Masters champion since Mike Weir in 2004 to miss the cut and split with caddie Jonathan Smart last month. He blew a three-shot lead in the final round of the Maybank Championship in Malaysia in February to finish tied fifth.